A complete document formatting implementation for Android. 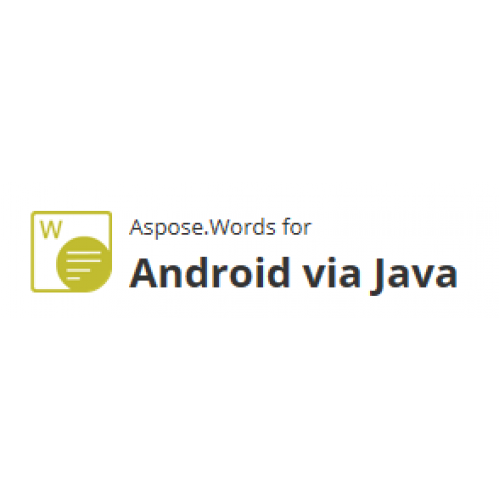 Aspose.Words for Android via Java is an advanced class library that enables you to perform a great range of document processing tasks directly within your Android applications. Aspose.Words for Android via Java supports processing native Microsoft Word formats such as DOC, DOCX, OOXML, RTF, other formats such as HTML, OpenDocument, PDF, EPUB, XPS, SWF and all image formats. With Aspose.Words for Android via Java, you can also easily generate, modify, convert and render Microsoft Word processing documents. With Aspose.Words for Android via Java you can convert documents from any supported format into any other supported format using just two lines of code. The distinct advantage of Aspose.Words for Android via Java is the great extent to which it supports the DOC format. Aspose.Words for Android via Java provides extensive support for loading, saving and converting WordprocessingML documents. Such all-embracing implementation is possible because Aspose.Words for Java.Android was designed with the structure of Microsoft Word documents in mind (and WordprocessingML is known to mimic the internal representation of Microsoft Word documents) making it simple for us to add support for these implementations into our core product engine. The RTF specification is a set of pre-defined keywords, there are over 1400 keywords in the RTF 1.8 Specification - Aspose.Words for Android via Java fully supports (reading and writing) the vast majority of these keywords. Load and save HTML/XHTML/MHTML for even greater interoperability. Aspose.Words for Android via Java HTML and XHTML import is resilient to documents that are not well formed or that are invalid. Invalid or unrecognized elements or attributes are safely ignored during import. Conversion to HTML and XHTML in Aspose.Words for Android via Java is customizable, many parameters like the export of document properties, headers and footers, image locations, scaling and resolution, form field export options and others can all be specified. 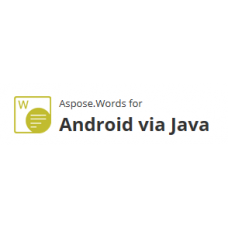 Aspose.Words for Android via Java supports loading OpenDocument 1.1 and 1.2 documents. Aspose.Words for Android via Java also has the ability to save documents in the OpenDocument 1.1 format. It is easy to extract plain text from any document using Aspose.Words for Android via Java. You can either save into a plain text file or programmatically get access to the text held in any document element.